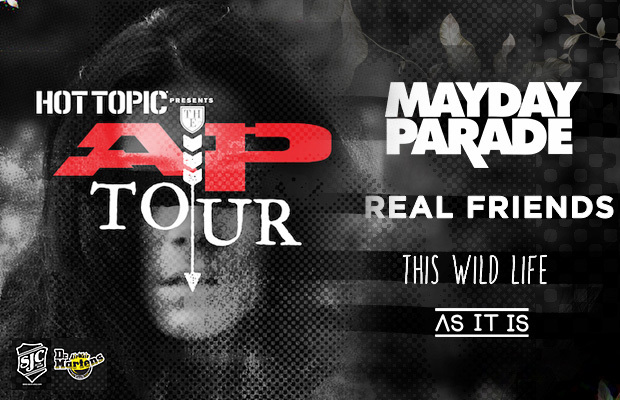 Alternative Press, Dr. Martens, and SJC Drums are teaming up to bring you a special contest for this year's AP Tour, featuring Mayday Parade, Real Friends, This Wild Life, and As It Is. We've also just announced another date for the upcoming tour. The bill will hit College Street Music Hall in New Haven, Connecticut on October 17. Tickets are on sale now, and can be purchased here.